Read more about Managing information and knowledge is (child's) play, no, game? 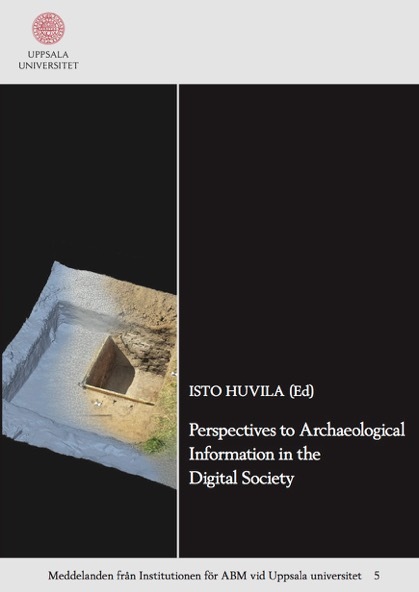 The new edited volume "Perspectives to Archaeological Information in the Digital Society" of the ARKDIS research project that explores the challenges of archaeological information work and research in the contemporary digital society is out both in print and as an open access edition online. I am right now heading home from the International Conference on Knowledge Management (ICKM) 2014 conference held this year in Antalya, Turkey. The conference offered an interesting mix of a bit more practical insights and academic work on IKM. This year's even was spiced with a little extra talk about research data as the event was colocated with Information Management in the Changing World (IMCW) conference. What is information leadership and why it is needed? My article on information leadership "Towards information leadership" has been published in the Aslib Journal of Information Management. The aim of the text is to discuss the significance of leadership perspective to information and knowledge management. The abstract can be found below, the original article at Emerald portal and a preprint of the text on this site. Read more about What is information leadership and why it is needed? I am participating in the 2014 Association for Information Science and Technology (ASIS&T) Annual Meeting in Seattle, WA. Thomas Erlich and Ernestine Fu wrote recently a short piece on the utopia of paperless office in Forbes with the main observation that we are very far from becoming paperless. As the authors note, quite aptly, we are not quite in a situation when all the affordances of the paper would have been taken over by digital media. Harvard Business review published recently an interesting piece by Ben Waber, Jennifer Magnolfi and Greg Lindsay on Workspaces That Move People. The authors describe and discuss a number of examples of new types of workplaces that make people to interact with each other, unexpectedly to bump into other people and to break the routine. What is a core service? Bob Schrier of AutoGraphics writes about digitisation and posits that it should be perceived as a core service of libraries. I do agree with the him in that digitisation is indeed something libraries could (and perhaps should, with an emphasis) consider as an offering that both makes sense considering the mission of (public) libraries, community needs and the existing and conceivable competences and capabilities of libraries. Read more about What is a core service? Professor Gary Marchionini made a number of interesting remarks in his guest of honour talk at the biannual LIDA conference in Zadar. Marchionini made some remarks on the future role of libraries as institutions collecting people. By collecting people he referred to managing and helping to curate our personal data, information and cyber identity. The theme of this year's LIDA conference is evaluation. At the moment, when the conference is still going on, it is possible to say that the variety of papers on both qualitative and quantitative evaluation has been interesting. Read more about Evaluation of what?